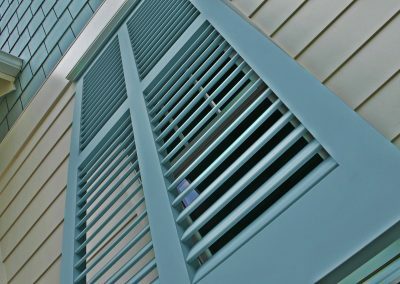 These Bahama shutters are certain to please anywhere there are palm trees, sand and a breeze. 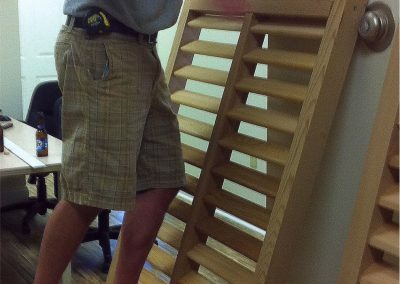 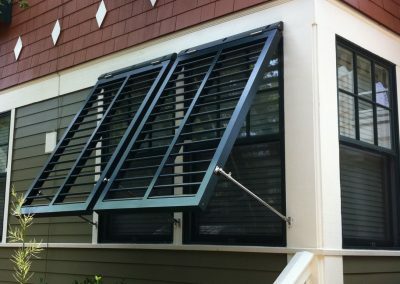 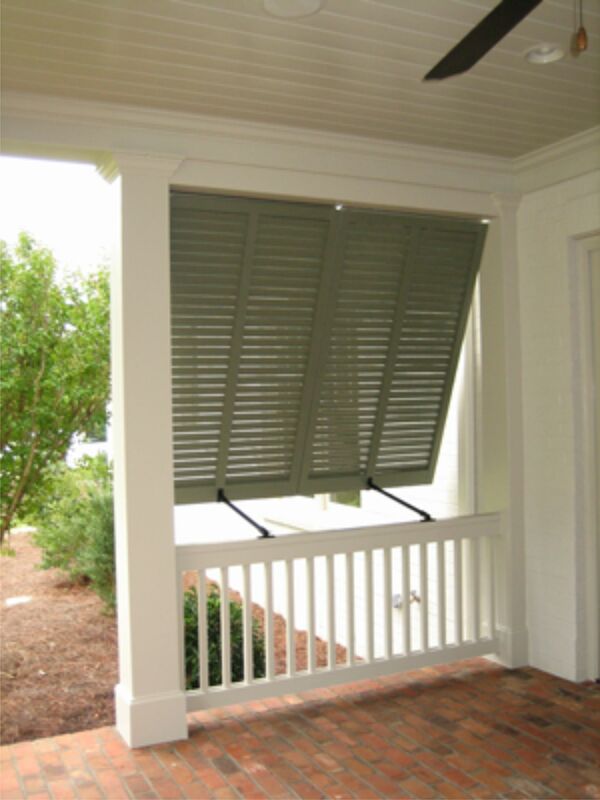 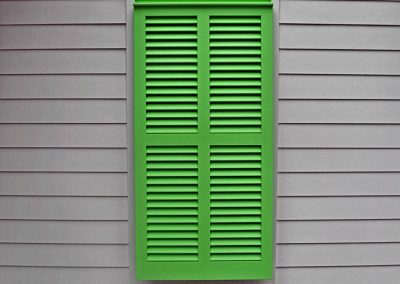 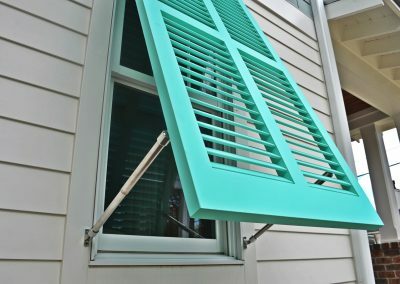 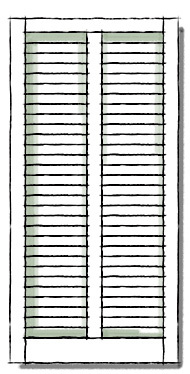 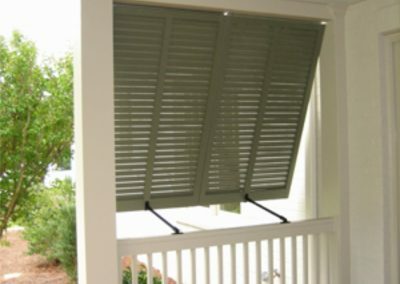 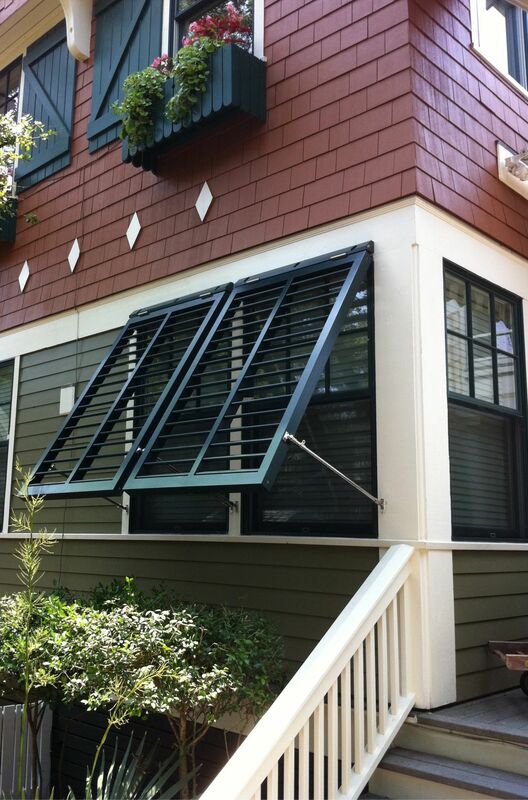 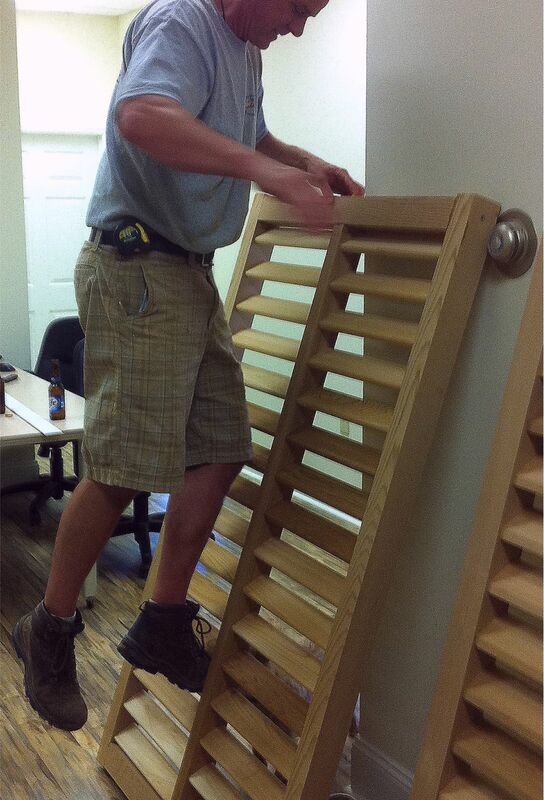 Bermuda shutters are generally hinged from the top and open up like an awning. 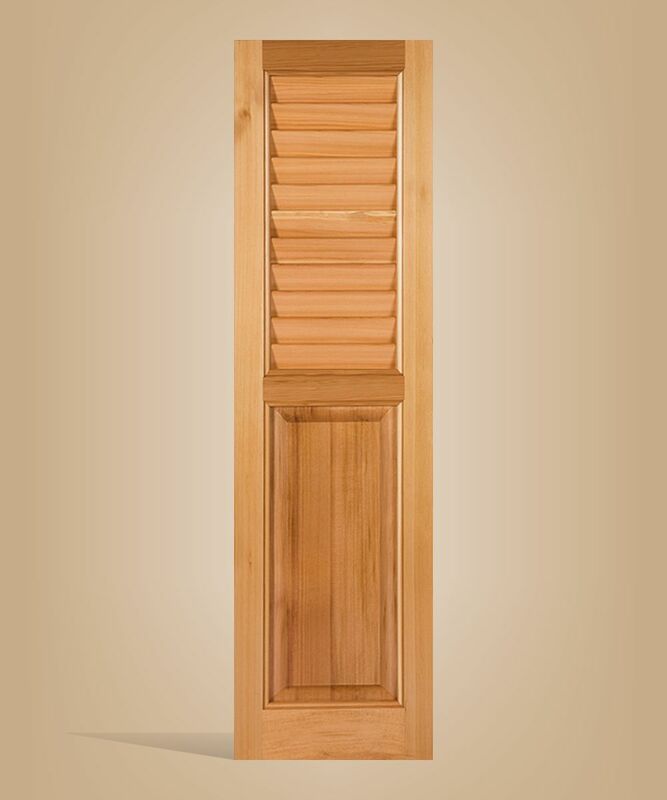 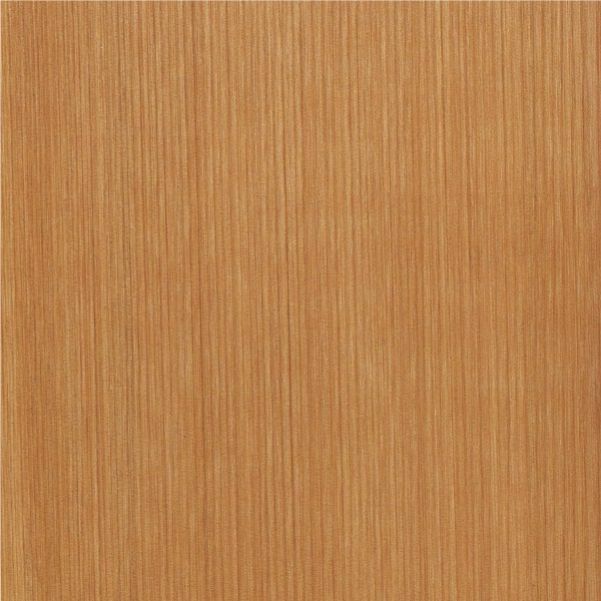 Our standard Bermuda or Bahama shutter utilizes 2″ louver with a 1.625″ thick stile. 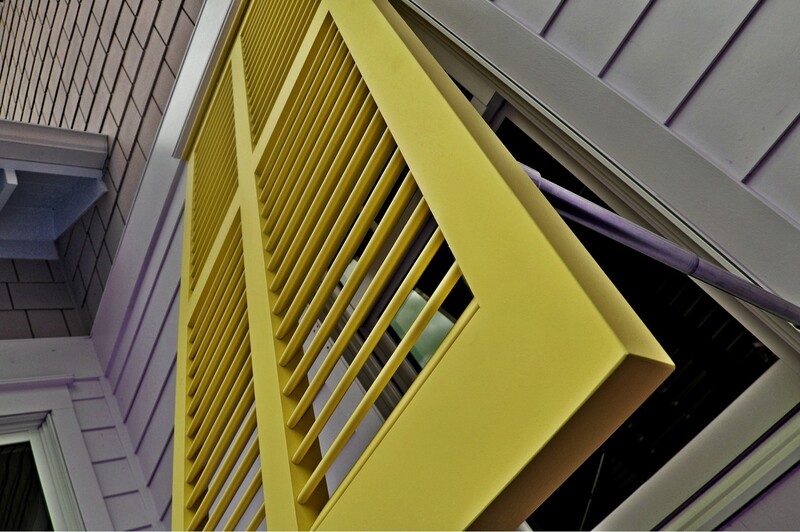 The angle is variable up to 50 degrees. 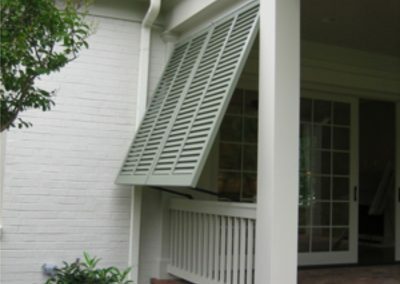 If more angle is needed, the louver can be changed to 1.75″ for a 45 degree angle. 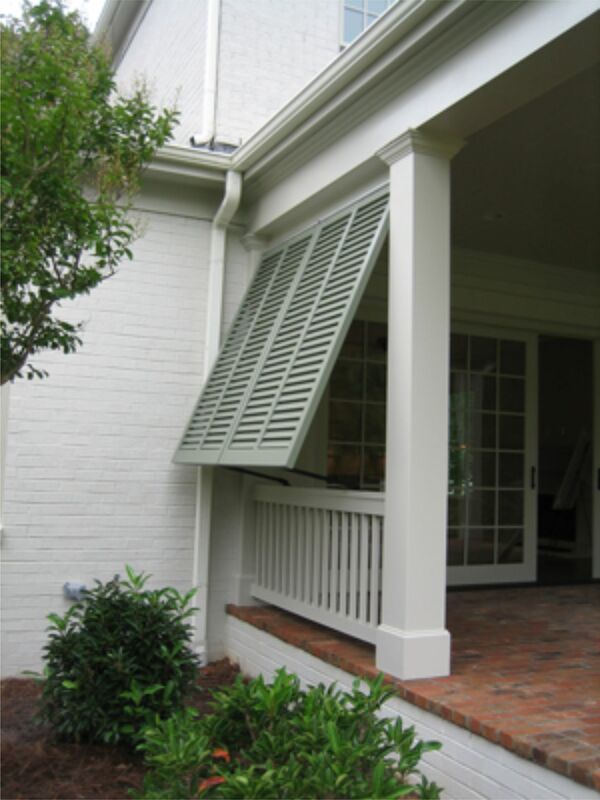 There are several design variations available that can cover multiple windows or be used to shade a porch as seen in the picture at left. 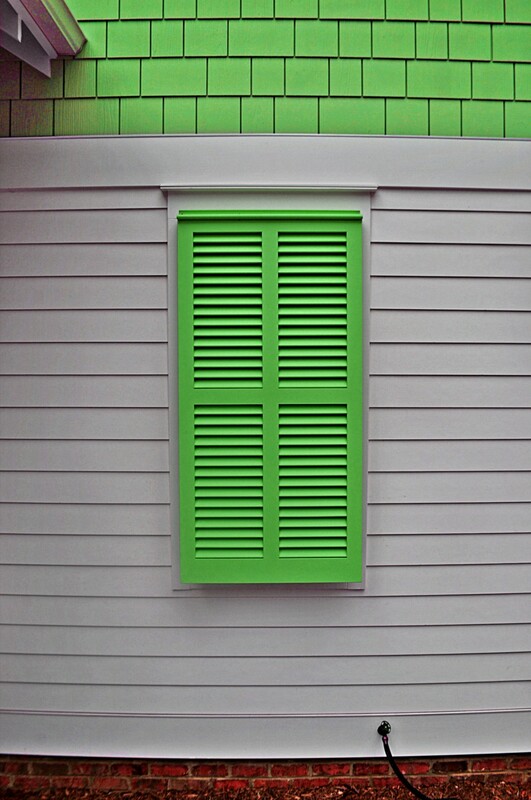 A very decorative shutter. 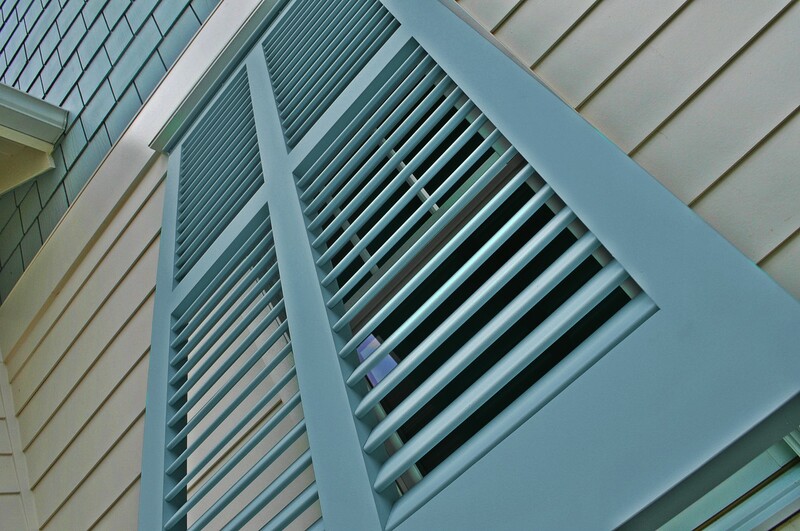 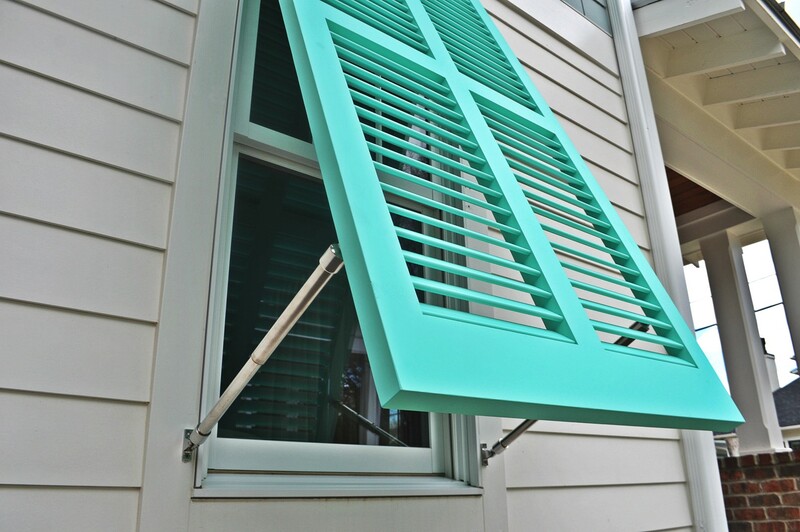 Rich with color and graced with durability, our panel shutters will enhance any facade. 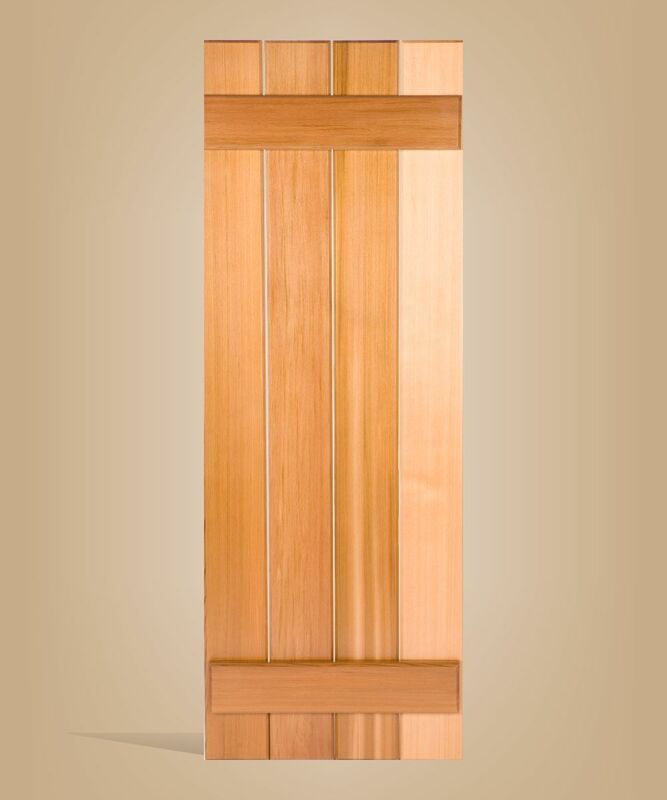 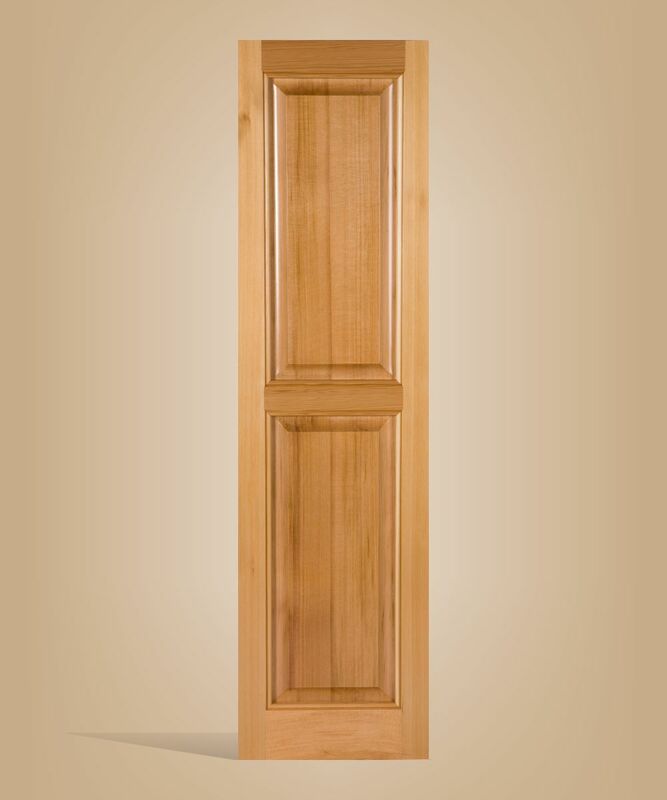 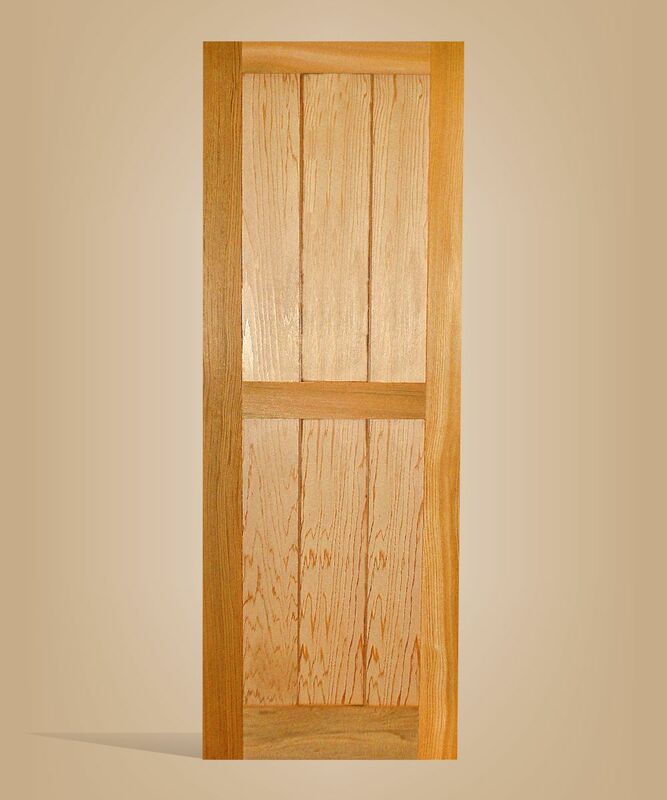 Made with Western Redcedar for its natural durability that provides unparalled strength and lasting beauty. 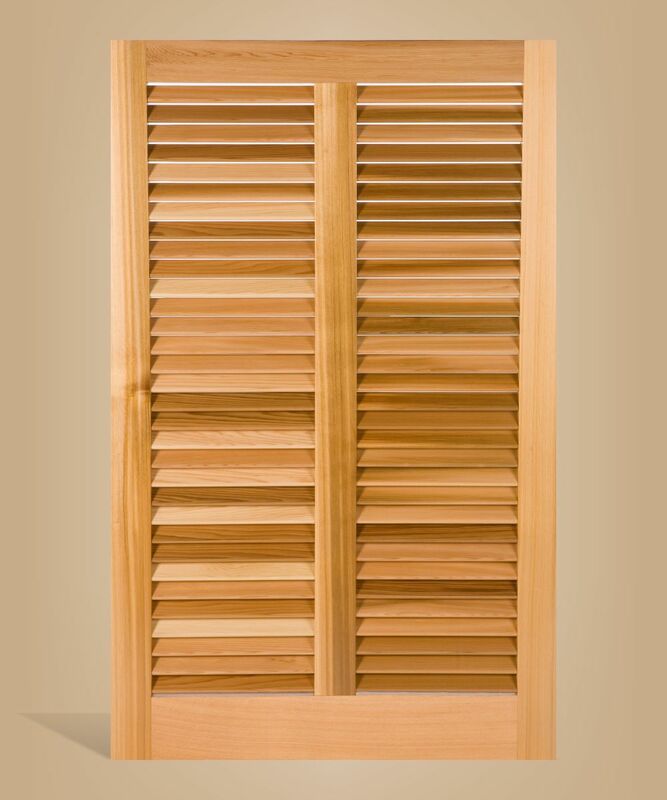 These wooden window shutters offer both the grace of traditional panels and the timeless charm of louvers. 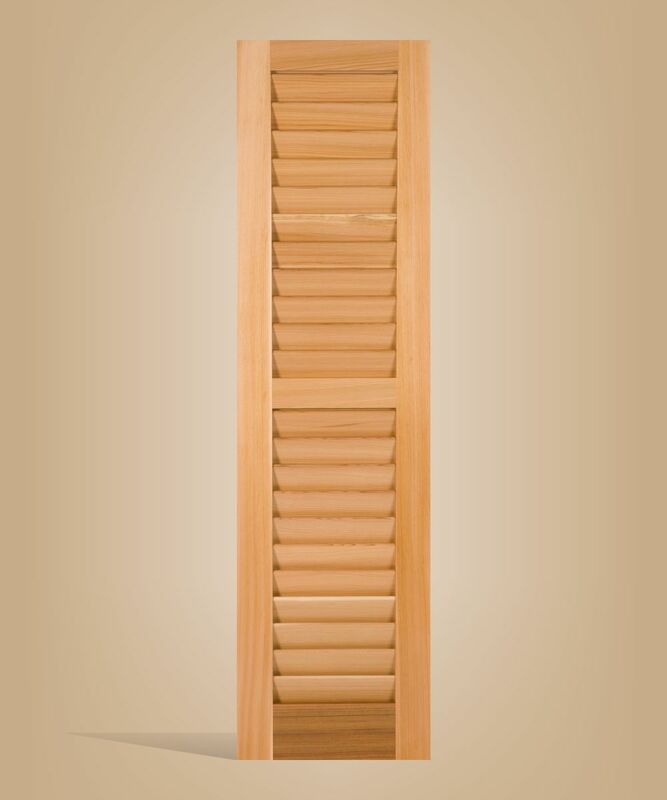 Made with Western Redcedar for its natural durability that provides unparalled strength and lasting beauty.